TV Tuning is an important part of setting up your TV, but with all of the different buttons and options on your TV it can be a daunting task to do by yourself. Why not have the experts at Adelaide Telefix do it for you? Don't spend days staring at a TV manual, contact us at Adelaide Telefix and our professionals will make sure that your TV is tuned correctly so that you have the best TV experience. 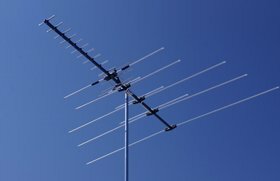 When you get the experts at Adelaide Telefix to tune your TV, you don't need to worry anymore about TV problems like missing channels or repeating channels - our experienced technicians have years of experience in TV tuning, and will tune your TV so that all channels are correctly tuned in, and there are no repeat channels. 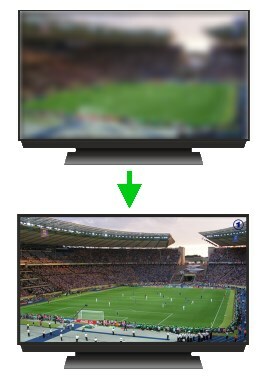 We will also tune your TV so that none of the channels look fuzzy, pixelated, or hard to see. Adjusting your TV to provide the best picture and sound quality is an important part of an overall TV tuning, and we will adjust your TV to give you the best picture and sound quality, and ensure you have the correct aspect ratio for your TV so that the picture does not look stretched or squashed. We can also adjust any other audio or video equipment you have, so that they have the best audio and picture quality. Our expert technicians use only the highest quality cables and connections, so when you contact the experts at Adelaide Telefix you can be sure that you will always get the best experience out of your TV and AV equipment. Once your TV and other AV equipment has been tuned for the best possible audio and visual quality, we'll also take you through step by step on how to use your new TV or AV equipment, so that can get the most out of all of the great features that it offers. For a free quote on TV tuning and TV reception tuning, call us today on 1300 884 829 or click the button below to use our online contact form.